To those who are new to the world of vaping, there is this realization that vaping doesn’t really make immediate sense. It is new, it seems complicated, and there are all these things related to it that you don’t understand yet. It is okay, we have you covered! It is the inhaling of any substance that is heated into a flavored vapor, using an electronic device. These devices have various names and forms; e-cigarettes, mods, boxes, depending on the style and size, and are comprised of a heating element, a battery, wicking material and a tank that holds the liquid. This liquid often has some percentage of nicotine and is referred to as e-juice or e-liquid, most of the times. There are four main types of vapes that you need to know of: mechanical mods, pen-style mods, box-style mods and disposables. In mods, the main unit containing the battery and power button requires a tank, an atomizer and other components. These are built in with no additional circuits apart from the connections which heat the coil. All a user has to do is flip the switch and power from the battery is delivered to the coil in an unregulated form, that is, there is no limiting that takes place before the electricity doing its work. Mechanical mods, though a favorite for some vaping enthusiasts, are not recommended for beginners due to them being too powerful to handle and requires experience. Even then, their simplicity makes them one of the most reliable vapes available in the market. Pen-style mods are made of the same main components as other mods, but are usually larger than a standard cigarette. They are the next step towards customized vaping and do not disappoint. Pen-style mods have swappable component which allows you the flexibility to change any unit for customization. These mods produce more vapor with a higher power compared to smaller alternatives and are also rechargeable via a USB cable most of the times, or allow you to swap the battery from the case. Like pen-style mods, this mod allows you to customize your vaping experience to a significant degree using tank, coil, or any other hardware of your choice. It also contains a large battery and some additional wiring and circuits because box-style mods usually have built-in displays that show you the watts, temperature or any other useful information. Box mods also offer more power than other mods, and come with different settings to choose from. Modern box mods have temperature control features which auto-regulate power and vapor production by themselves. Box-mods are also called the most powerful of all e-cig options. These are the easiest, cheapest and most readily available vaping device on the market. These devices are usually all-in-one units which get disposed. They are designed to be used and thrown away once the e-liquid has dried. Disposable e-cigarettes cannot be refilled, or charged, they are used and disposed, hence the name. In the beginning, it is advisable for new vape users to try disposable options first, but afterwards once ready, it is time to get the first mod as a vaper. Sub-ohm refers to the amount of resistance in the coil, and these have become the recent, most popular option for vaping. Sub-ohm tanks screw directly into atomizer’s base unit, and can be filled with milliliters of e-liquid. The liquid gets soaked into the coil unit, which is wrapped around the heating coil. These types of combos of tank and atomizers have become popular due to their ease of use and allowing replacements and refilling the tank without any fuss. For sub-ohm tanks, it is easy to find pre-made coils in any vape shop or online, and are also very affordable. Since you will eventually have to swap out coils, it is a good idea to have some at hand. However, there are many options when it comes to coils. They are usually grouped by the type of metals used in their construction, the most common options being stainless steel, titanium and nickel. Since the metals differ, so does the temperature and watt range for each of the coils. This is why you must check the specifications for the coil before you turn on the power, else you would probably end up burning the cotton in the coil. Many vape mods have swappable batteries and the power plus capacity varies from brand to brand. Though, these batteries aren’t purchasable from local stores, and this is why you will have to find a vape shop or order them online. 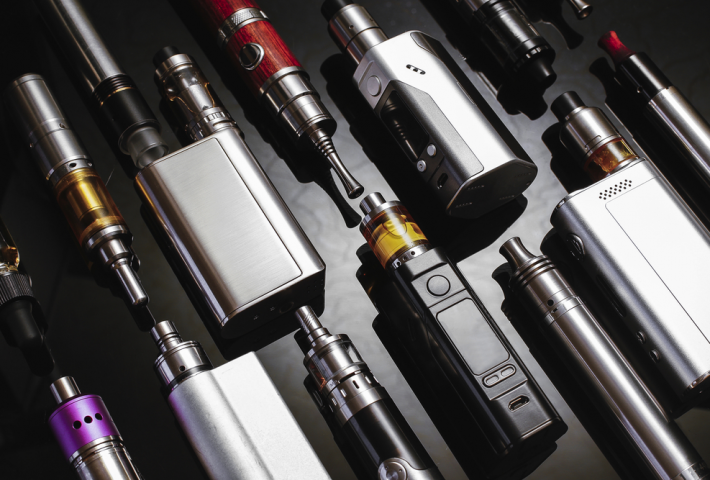 Most popular size of battery used for vaping is the 18650, and several manufactures make high capacity versions of it. Rebuildable atomizers, or RBAs, allow users to disassemble the coil housing in order to replace the coil, so that the entire heating element doesn’t have to be disposed when it has finally died. Rebuildable dripping atomizers, or RDAs, are atomizers that do not need a separate tank but depend on the user to drip fresh e-liquid on the cotton wick when needed. The coil and the cotton wick can be accessed through the mouthpiece. RDAs let the users customize their heating element by letting them replace the coils and wick, and also letting them design them however they want. RDAs aren’t really a good option for casual users due to the time required for rebuilding the atomizer, however, they produce the most vapor thus making them a viable option for those with vaping as a hobby. With a new, dry coil, the first thing to do is to prime the coil with a few drops of e-juice before use. Before filling the tank, it is better to just drip some liquid on the exposed cotton bits, and allowing the juice to sink a little before placing it back and filling it. After you are done with the priming, give your vape a few minutes to sit before powering it on or you might burn the cotton wick and ruin the coil altogether. Using different flavors of e-liquids without cleaning out the tank and coil can end up leading to poor flavor. This is why, it is better to disassemble your tank, take out the coil, run them under hot water for a minute and then dry the components thoroughly using hair dryer, fan or some other method. Give yourself the chance to try different options, be it disposable or a box-mod, and if you don’t like the first experience you have, try a different device and do it again with varying temperatures and liquids. Remember, the possibilities are endless! Wondering where to get the perfect vape from? Think no more! 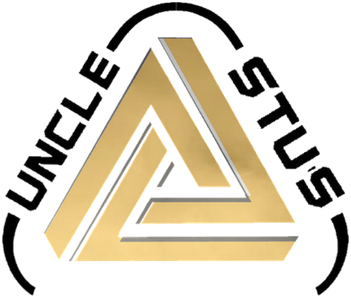 Uncle Stu’s Smoke and Vape Shop has an extended, unending variety of vapes, e-juices and vaping products to choose from. Our staff will happily answer any questions you may have, and will help you find the perfect vape for you because we know vaping is personal and needs to be treated with care. So, head over to our shops in Algonquin, Carol Stream, Lake Zurich, South Elgin or Romeoville, and let us take care of it!